Time to clip those Box Tops and send them in! Each Box Top is worth at least 10 cents to our school. Box Tops may be small, but they raise THOUSANDS of dollars for our school. We are then able to spend that money to fulfill requests from the school for equipment, materials, and training. Just clip the Box Tops off the products you buy and send them into school with your child. Don’t forget our raffle! Download the form below, fill it out, and send it in with your child for a chance to win a prize! The Spring Box Tops collection, contest, and raffle goes until May 30, 2019. Box Tops and raffle entry forms are due today! 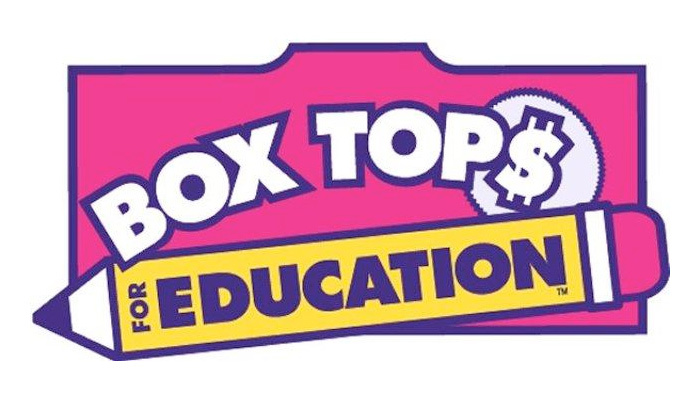 Also, register at the Box Tops web site and enter their sweepstakes — there are frequent contests where our school can win, but you have to enter! Entry form coming in the spring.